PHOENIX, Ariz. – NOV. 2, 2016 – Bondurant Racing School announced today that Shell will become its official automotive lubricant and fuel supplier. The Bondurant Racing School has made the switch to Pennzoil and Shell V-Power NiTRO+ to help students reach the next level of performance and maintain engine reliability throughout their driver instruction and racing program experience. Pennzoil with PurePlus™ Technology will be provided to the Bondurant Racing School to offer vehicles complete protection including cleaner pistons , better fuel economy , protection of horsepower, unsurpassed wear protection  and excellent extreme temperature performance.The Shell V-Power NiTRO+ Premium Gasoline being provided to the Bondurant Racing School is developed with a special formulation to deliver triple-action protection against gunk, wear, and corrosion for optimum engine performance. 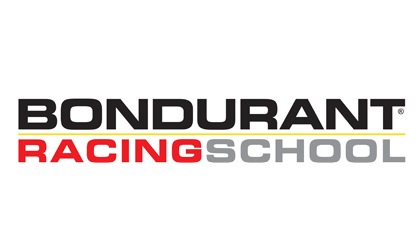 From high performance driving classes to racing preparation and law enforcement training, Bondurant has a program that improves skills for anyone. To learn more about Bondurant’s new Fiat Trackside and Road Rally programs, as well as its other classes, please call 1-800-842-7223, or visit www.bondurant.com. The Bondurant Racing School is The Official Racing School of Dodge SRT. Among the featured Dodge SRT vehicles of the Bondurant Racing School is the highly acclaimed 2016 Dodge Viper ACR. This V-10 powered high performance vehicle set 13 different road course records since its release – more track records than any production vehicle. The Bondurant Racing School also offers the world-renowned 707 horsepower Dodge SRT Challenger and Charger Hellcats – the fastest production muscle cars on the road and on the track. For more information, visit www.Bondurant.com or call (800) 842-7223. Shell Oil Company is an affiliate of the Royal Dutch Shell plc, a global group of energy and petrochemical companies with operations in more than 70 countries. We deliver a diverse range of energy solutions and petrochemicals to customers worldwide. These include transporting and trading oil and gas, marketing natural gas, producing and selling fuel for ships and planes, generating electricity and providing energy efficiency advice. The term ‘Shell Lubricants’ collectively refers to the companies of Royal Dutch Shell plc that are engaged in the lubricants business. Shell Lubricants companies lead the lubricants industry, supplying more than 12 percent of global lubricants volume. * The companies manufacture and blend products for use in consumer, heavy industrial and commercial transport applications. The Shell Lubricants portfolio of top-quality brands includes Pennzoil®, Quaker State®, FormulaShell®, Shell TELLUS®, Shell RIMULA®, Shell ROTELLA® T, Shell SPIRAX® and Jiffy Lube®. *Kline & Company, “Global Lubricants Industry July 2015: Market Analysis and Assessment. Shell is a leader in the refining, transportation and marketing of fuels, and has a network of approximately 6,100 branded gasoline stations in the Western United States. Shell Oil Company is a 50 percent owner of Motiva Enterprises LLC, along with Saudi Refining, Inc. Motiva Enterprises LLC refines and markets branded products through more than 8,300 Shell-branded stations in the Eastern and Southern United States.